I chose Duke because I thought it was the perfect fit for me. The student population is very tight. It’s a family-oriented community. It’s very nice and diverse and a community that will prepare me for the real-world someday. My greatest influence basketball-wise is probably my father because he played in the NBA and I’m trying to get to where he has been. He played in college at Texas A&M. Just seeing what he did in college, I think that he made a real big impact and I’m trying to live up to his expectations and what he did. Being around Coach K, I just want to pick his brain as much as possible. He has a lot of knowledge, a lot on his resume. I’m trying to get to where he has been and accomplish at least 25% of what he has done. His knowledge and love of the game at his age is real rare. Hopefully I can do half as much for him as he will do for me because that’s going to be a lot. He’s going to do more than I expect because, you know, he’s Coach K.
What impressed me most about Coach were his experiences and relationships with his players and how he wants them to be a part of the program forever. He wants them to come back. That’s real big on my end because it’s a family. Although Parker is a basketball phenom, he has not allowed the stardom and recognition to discredit his true character. To understand who the real Jabari Parker is, a person would need understand the things that matter the most to him, namely his family and his faith. At the end of the day, being a good person is more important than basketball because you are only going to be remembered by what you do and how you carry yourself. You can be the most amazing athlete in the world, but if you’re not there for people and you’re not there for your community, your family, then what is your worth? That’s what separates the greatest from the average people. That little bit of selflessness, that character. I want to live my life not as Jabari Parker the basketball player, but as Jabari Parker the good guy, the helpful guy. Although Parker has achieved status as an outstanding basketball player and has been afforded many opportunities, he has not forgotten his real roots. He still considers Chicago to always be his home base, as it is there where it all began. He realizes, especially growing up on the South Side of Chicago, that the city is incessantly represented in the news media in a negative light. He has stated that he wants to be that person who helps to shed more light on the positive and help to eliminate the focus on the negativity. Oh Chicago is the best. That’s the reason that I am the person that I am now. The hard-nosed style of basketball that we play around the city is from the community that I represent. Being from the South Side, I want to make a positive impact as much as possible. You see on CNN, they talk about the crime rate, there is a lot of negativity. I want to be as positive an influence as possible and be that guy who helps the city be looked at in the right way. When he is off the court, Parker describes himself as a “relaxed cool guy.” He says that he enjoys being around different types of people and getting to know more about them, as they learn more about him. He also loves music. One of his future goals is to be inducted into the Hall of Fame. However, his immediate goal and purpose in life is to have a positive impact both on and off the court. 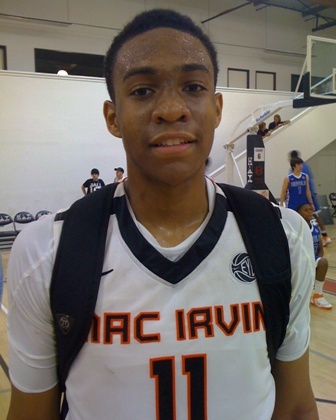 There is no doubt that Jabari Parker is a name that people will be hearing for some time to come. The video below highlights the first 18 years of his remarkable life and career. Scriptures teach us, “Judge not, that ye be not judged” (Matthew 7:1). And we are further admonished, “For with what judgment ye judge, ye shall be judged: and with what measure ye mete, it shall be measured to you again” (Matthew 7:2). Therefore, when a brother or sister has been found guilty of any transgression – from the smallest to the most serious – we must do all that we can to help them return to the fold in good standing. For whom the Lord loveth he chasteneth, and scourgeth every son whom he receiveth. If ye endure chastening, God dealeth with you as with sons; for what son is he whom the father chasteneth not? But if ye be without chastisement, whereof all are partakers, then are ye bastards, and not sons. Furthermore we have had fathers of our flesh which corrected us, and we gave them reverence: shall we not much rather be in subjection unto the Father of spirits, and live? For they verily for a few days chastened us after their own pleasure; but he for our profit, that we might be partakers of his holiness. Now no chastening for the present seemeth to be joyous, but grievous: nevertheless afterward it yieldeth the peaceable fruit of righteousness unto them which are exercised thereby. In The Church of Jesus Christ of Latter-day Saints, whenever a member has committed a transgression, he is able to talk with his bishop, branch president, or stake president who can help him overcome the transgressions in his life through a process called repentance. Those who are serving missions may speak with their mission president who is there to help them overcome their transgressions. Such formal Church discipline may include restriction of Church membership privileges or a loss of Church membership, also known as excommunication. Excommunication is rare and is considered as a final means of resolution. Before a pronouncement of excommunication, all things are carefully and prayerfully taken into consideration in order to help a member who has transgressed to remain a faithful, active member of the Church. During the proceedings of a disciplinary council, prayerful counsel is offered to the member for whom the council is being held. It becomes the responsibility of the member who has transgressed to act upon the counsel that is given to help him work through the repentance process and to regain his good standing in the Church. Excommunication is usually sought after counsel has been given and the transgressor willingly refuses to accept and follow the counsel which had previously been given. The Church is a family made up of millions of individuals with diverse backgrounds and opinions. There is room for questions and we welcome sincere conversations. We hope those seeking answers will find them and happiness through the gospel of Jesus Christ. Sometimes members’ actions contradict Church doctrine and lead others astray. While uncommon, some members in effect choose to take themselves out of the Church by actively teaching and publicly attempting to change doctrine to comply with their personal beliefs. This saddens leaders and fellow members. In these rare cases, local leaders have the responsibility to clarify false teachings and prevent other members from being misled. Decisions are made by local leaders and not directed or coordinated by Church headquarters. Actions to address a person’s membership and standing in their congregation are convened after lengthy periods of counseling and encouragement to reconsider behavior. Ultimately, the door is always open for people to return to the Church. Careful note should be taken of the final line in the statement, “Ultimately, the door is always open for people to return to the Church.” The statement made by The Church of Jesus Christ should help to shed a light of hope and understanding on the often misunderstood subject of excommunication. Excommunication from the Church does not have to signify an end to all things even though Church privileges are taken away. As stated, the door is always open and people who have been previously excommunicated can return to the Church. Excommunication is not irretrievably permanent, and it’s actually meant to be a beginning and not an end. Although there are serious consequences that go along with it (related to ordinances and gifts thereof, names on records of church, holding callings, etc), people who are excommunicated are not disposed of nor are they out of the community. People for whom that action is invoked can (and often do) attend church weekly and church activities, receive home and visiting teachers, associate with members, and meet intensively and regularly with their bishop. (In this way, excommunication may differ quite dramatically from the way the same word is used in other traditions.) They are by no means thrown away or spiritually dead, and we are to remain without judgment of them and welcome them in our community just as we would anyone else. Church disciplinary action is not intended to be the end of the process—rather, it is designed to be the beginning of an opportunity to return to full fellowship and to the full blessings of the Church. Priesthood leaders try hard to be sensitive to the disciplined person’s needs for understanding, encouragement, counsel, and assistance. They work to see that he or she has regular visits with his or her bishop; that the person has mature, caring home teachers or other specially assigned individuals; and that his or her family receive the attention, counsel, and fellowship they need during this difficult time. The desired result is that the person will make whatever changes are necessary to return fully and completely to be able to receive the marvelous blessings of the Church. 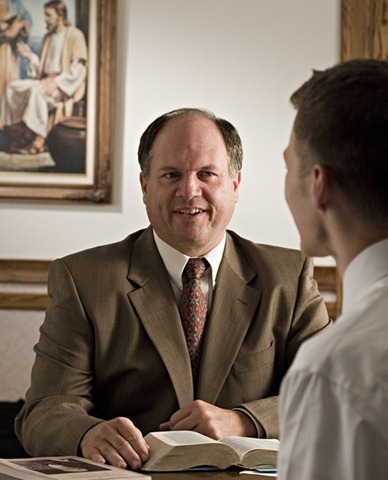 When the person has progressed to that point, his or her current bishop or stake president has the authority to convene a new disciplinary council to consider what action needs to be taken—even if the person is now living in a new ward or stake or if a new bishopric or stake presidency is now serving. After the rebaptism of a person who has not been endowed in the temple, his or her membership record shows the original baptism date, with no reference to the excommunication. A man who previously held the priesthood but was not endowed should generally be ordained to his former priesthood office. Again, his membership record will show his original ordination date, with no reference to excommunication. As a former Stake High Council member, and a former member of two Bishoprics as both Second and then First Counselor, I have had the opportunity to be a part of disciplinary councils. It was my experience then, and is my sincere belief now, that disciplinary councils are not held merely to discipline a person for the transgression which he or she has committed, but rather that person is viewed and treated as a special soul of worth, a son or daughter of a loving Heavenly Father. The council is begun with prayer asking for the Lord’s guidance and direction in attending the affairs of the council, and no decision is made as to the outcome of the hearing until the presiding priesthood leader and his counsellors have sought the Lord for guidance and inspiration. Furthermore, it has been my experience as I have been called upon to participate in such councils, that the overarching message that is conveyed to the transgressor is that they are loved by their Heavenly Father and by the members of the Church, even on the rare occasion that a person is excommunicated. In all instances, regardless of the outcome of the council, the healing streams of mercy and love continue to flow. Well, most of our contestants are pretty knowledgeable and I have a lot of friends that can quote a lot more Scripture than me. But as a whole I think that previous generations were probably more knowledgeable than ours. We have way too many distractions these days. To make the challenge of the game a little more interesting, instead of ordinary prizes, Foxworthy decided to give the winners a financial reward that they could use to better their communities. The third season of the show, which premiered on 22 May 2014, is a little different in that the viewers will have an opportunity to learn more about the contestants – where they are coming from, and why they are competing. Among those who will be competing this season is a team of 3 moms. What is so special about these moms? Jill Davidson Mason, Deborah Dushku Gardner, and Heidi Glyn Barker are all members of The Church of Jesus Christ of Latter-day Saints (often called the “Mormon” Church by the media and others) – a faith which many people do not consider to be Christian. They will be playing for the charity which Gardner and Barker co-founded, One Heart Bulgaria. The Holy Bible literally contains within its pages the converting, healing Spirit of Christ, which has turned men’s hearts for centuries, leading them to pray, to choose right paths, and to search to find their Savior. The Holy Bible is well named. It is holy because it teaches truth, holy because it warms us with its spirit, holy because it teaches us to know God and understand His dealings with men, and holy because it testifies throughout its pages of the Lord Jesus Christ. Gardner and Barker had previously served missions for The Church of Jesus Christ of Latter-day Saints in Bulgaria and were mission companions. After returning home from their missions, they wanted to continue to help the country that they had come to love, and so they co-founded One Heart Bulgaria, an organization that coordinates services to 28 orphanages in Bulgaria. Gardner shares some of her story in an “I’m a Mormon” video which was publish in May 2011, and on her Mormon.org profile. Some people may consider members of The Church of Jesus Christ of Latter-day Saints to be a rather “peculiar” or strange people, not only because of some of their beliefs and practices, but because of their devotion to their faith. Devout Mormons, as they are often called, believe that their religion is more than just a Sunday religion. It is something that they uphold and practice every day of their life – at home, at school, in the market place, in the work place, or even in the public square. Wherever they may be, the doctrines and principles that they are taught are a guiding force in their personal life, as well as in their dealings with others. Members of The Church of Jesus Christ live normal, busy lives like most other people. They go to work each day, go to school, attend college classes, do grocery shopping, and take care of their homes and families, as well as any other tasks that may be required. As such, each member of the Church gives of their time differently. Depending on life situations, some may be able to sacrifice more time than others. Nevertheless, by comparison there are few Christians who give of their time like Latter-day Saints. Joseph Smith, the first Prophet of The Church of Jesus Christ of Latter-day Saints (sometimes called the “Mormon” Church by the media and others) in Lectures on Faith taught that “a religion that does not require the sacrifice of all things never has power sufficient to produce the faith necessary unto life and salvation.” Although members of the Church do not sacrifice everything that they have, most willingly give of their time each week to attend Church meetings, perform their Church callings, and participate in activities and service projects. Exactly how much time an average Latter-day Saint sacrifices in performing church, family, and community service can only be approximated. On a daily basis, the average Mormon may spend only a few minutes reading and studying the scriptures. A full-time missionary, however, spends up to 2 hours per day studying the scriptures. During the week, some LDS youth attend early morning Seminary classes for one hour prior to the start of the regular school day. 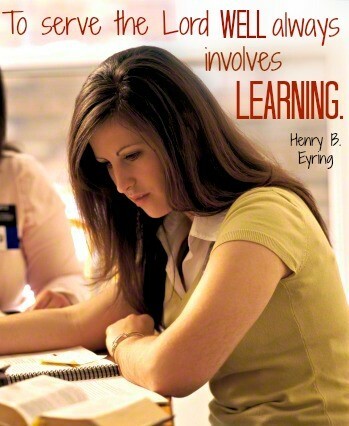 Other LDS youth, depending on their location, may have Seminary included as part of their school curriculum. Sundays are divided into three one hour blocks of instruction to include Sacrament meeting, Sunday school, Relief Society for women, Priesthood for men, and Primary for the younger children. There are also other church meetings to attend depending on a person’s calling. It is not uncommon for Stake Presidents, Bishops, and auxiliary presidents to spend up to 20 hours or more in their church callings, whereas someone else in a different calling may spend less than an hour. The time that is spent in a particular calling includes, but is not limited to: leadership meetings and training, presidency meetings, interviews, lesson preparations, planning and attending activities. • Young Women/Young Men activities: 1-2 hours at activities; more spent individually on Personal Progress and Duty to God requirements. • Scouts: 1 hour per week at activities; more spent individually fulfilling requirements. • Date Night: 1-4 hours; many local church leaders have encouraged a weekly date night for married couples. • General Conference: 10 hours (four 2-hour General Sessions, one 2-hour Priesthood Session and one 2-hour Women’s Session) held in April and October of each year. • Stake Conference: 2-6 hours (2-hour general session, 1-2 hour adult session, and other leadership training sessions. Latter-day Saints also give of their time to attend the temple which could constitute two to three hours per endowment session. The amount of time spent in the temple during each subsequent visit will depend on such factors as travel times, wait times, and what ordinances a person is planning to perform during their visit. Temple ordinance workers serve approximately 6 hours per week for several months or maybe even years. 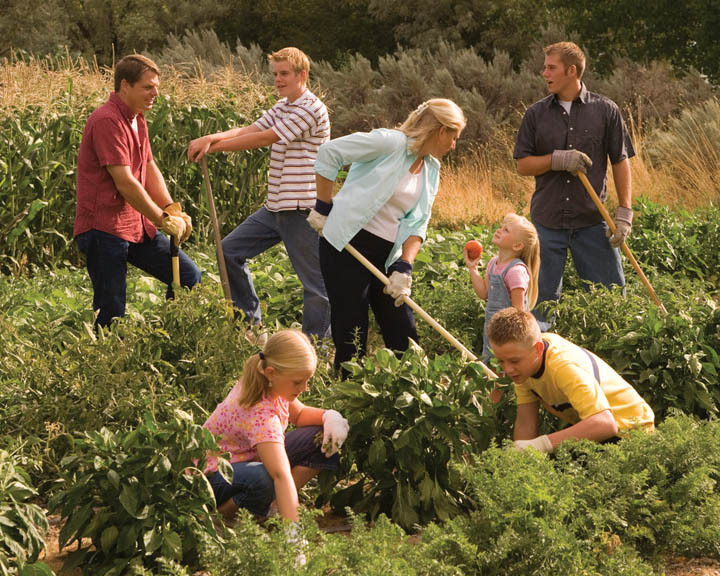 Latter-day Saints are also service minded people, and could spend anywhere from an hour to 20 hours or more in providing meals for those in need, helping families to move, cleaning church buildings, and assisting in humanitarian efforts. They also spend a considerable amount of time doing genealogy work. Some may spend only a few minutes each week doing family history research, and others may spend several hours per week depending on their schedules. As there are no paid ministers in the Church, members are called on from time to time to give a talk/message to the congregation during Sacrament meeting, or other church meetings such as ward and stake conferences. Some members are also called upon to teach various classes. And so, preparation time must also be calculated into the equation. Missionary service is another major part of the Church with males starting at the age of 18 serving full-time for two years, and females starting at age 19 serving for 18 months. A retired couple may serve a mission for a period as short as 6 months or as long as 2 years. Missionary Presidents and their wives serve for 3 years, and Church-service missionaries usually serve approximately 8 hours per week for 6 months to 2 years. 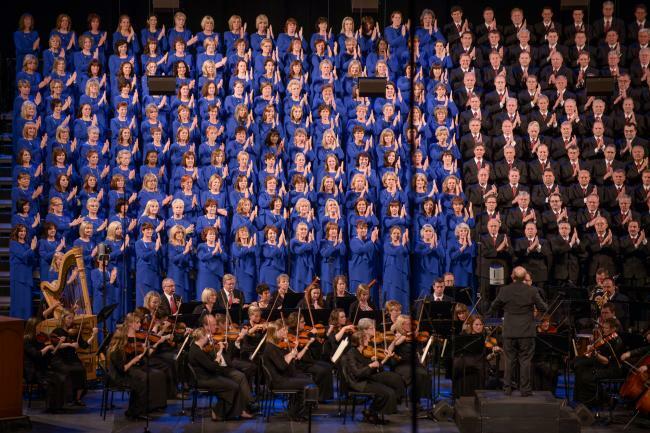 These acute statements without question could be used to accurately describe the delightful music that people the world over experience whenever they hear the Mormon Tabernacle Choir and Orchestra at Temple Square perform. Through their melodious sound, a listener is transformed into a virtual Picasso as he is able to paint beautiful pictures on the canvas of his mind which gives vitality to what he hears. The tour begins on 24 June 2015 and concludes on 7 July 2015 with stops in Bethesda, Maryland; New York City, Saratoga Springs, Bethel Woods, New York and Boston, Massachusetts. Tickets are now on sale for the concert to be held in Bethesda. More information about specific dates, venues, and ticket prices can be found by visiting the choir’s website.